These metal pails are fun and useful too! Choose your saying and size that suits you best! They vary in price by size. 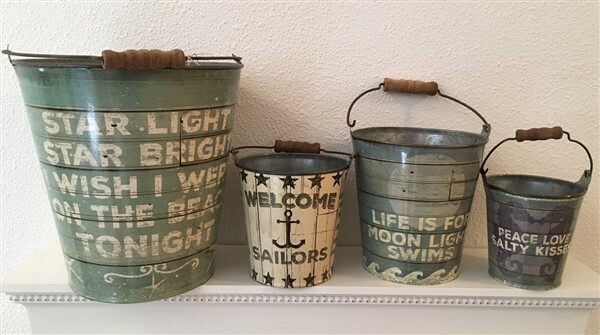 The perfect addition to any beach home or room! They are made of metal, with a paper design and a wood handle.